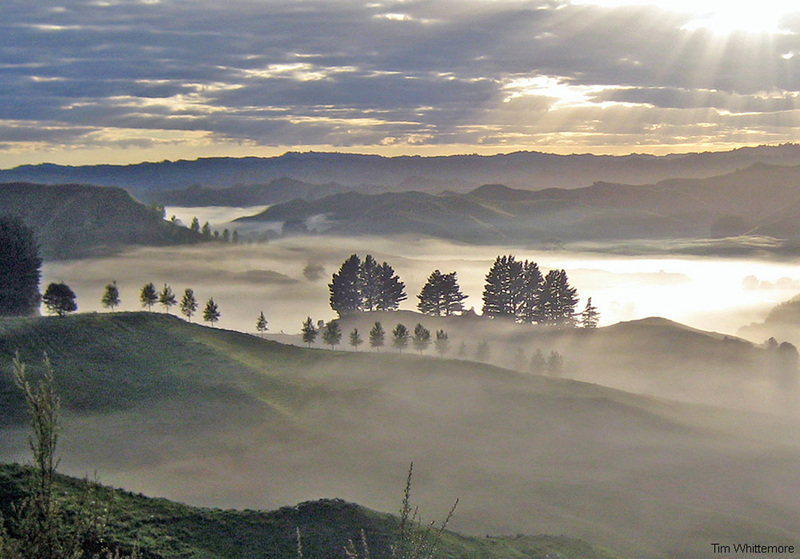 Yes, the fog you see in these valley floors in New Zealand is the same thing as clouds you see floating overhead in the sky. Clouds are formed when invisible water vapor in the atmosphere condenses out into visible water droplets. Condensation is highly dependent on the amount of water vapor in the air (relative humidity) and temperature (water condenses more readily in colder air). So, if the air at the land surface is sufficiently humid and cold condensation can occur, with the result being clouds you can literally walk on, or "through" might be a better term.